The North African country of Algeria is a melting pot of influences, from Berber to Roman to Arab to Ottoman to Spanish and French. This blending of cultures has given way to a fantastic architectural scene, much of which still exists today. There is too much beauty to be seen in this lovely country starting with the architecture. The famous Kasbah of Algiers stands in the middle of one of the most beautiful maritime sites of the whole Mediterranean which constitutes a unique type of Islamic city commonly called medina. It is a place that is must be seen by any visitors to the country. The Kasbah has several doors; some of them used to be opened in the morning and closed at sunset and it is filled with palaces, mosques and homes, all with their own fascinating architectural features. One of the most noteworthy aspects of this Kasbah is the fact that many of the buildings date back from the original Ottoman period in which they were built between 1515 and 1830, and are currently undergoing restoration to return them to their former glory. 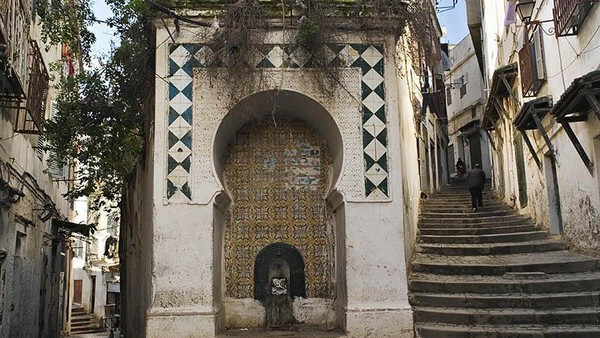 Unlike so many of Algeria’s other Kasbahs, the Kasbah of Algiers is one of the best preserved. The most famous buildings in the Kasbah is the 18th-century Ketchaoua Mosque, alongside the neo-Byzantine Notre Dame D’Afrique. In the lower part of the Kasbah, there is the Museum of Popular Arts and Traditions that is located in the old palace of Khedaouedj El Amia (a beautiful princess who lost sight). The elegant house was built in the 14th century on the site of a Zaouia of the 12th century. At the top of the Kasbah, there is a hilltop citadel. This fort located at a high point (accessed by Bab El Djedid) gathered the palace of the Dey and the buildings of military utility. All these architectural masterpieces offer excellent views over the Mediterranean. 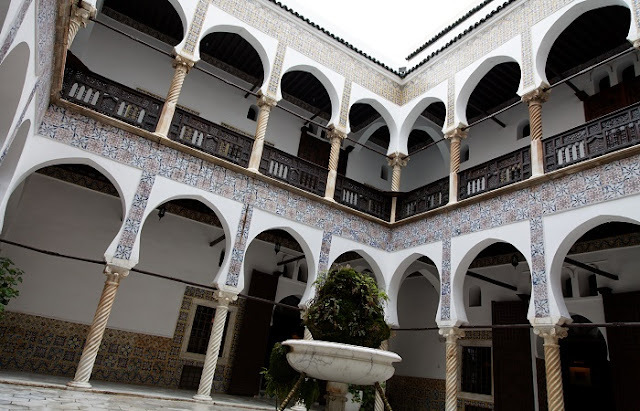 The Kasbah is an awesome place to learn about the history of Algiers and Algeria as a whole which evokes the influence of conquests and colonialism on this country. 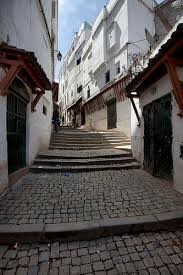 The Kasbah is a masterpiece of architecture and town planning and remains one of the world's most mythical labyrinths. Its impressively thick and high walls, its picturesque simple houses with narrow windows to limit direct sunlight and thus keep houses cool during the summer, its narrow roads and the atrium in the middle allows hot air to escape upwards and get replaced with cool air from the lower levels give it a chance to be integrated in the UNESCO world heritage site. The Kasbah comprises of some palaces that are exquisitely decorated with ceramic tiles are omnipresent and add a colorful touch. As an example, some ceilings look like Persian carpets decorated by intricate design and rich colors. Despite some changes that were made through time, but the structural beauty remains apparent just from walking around the site. Anybody ever try trading Oil before? It's great I love it. I'm doing the Code Trading System method, it really works great. Just Google " Code Trading System " you should be able to find it.